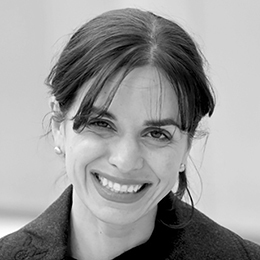 Ana Pinto da Silva serves as the Principal UX Design Lead for Amazon's Grand Challenges team. Her work synthesizes her interests in design, storytelling, architecture and emerging technologies with her deep passion for creative collaboration. Pinto da Silva’s previous experience includes immersive technology envisioning, game development, architecture, and interactive media. She has led design across a wide array of projects including healthcare, education, civics and workplace productivity. Her work has garnered several awards including the Al Falah Grant from UC-Berkeley in 2002 and a Webby Worthy Award in 2003. In addition to her media work, Pinto da Silva has been an instructor at San Francisco State’s Multimedia Studies Program developing and teaching courses on the history of interactive media and portfolio development. She is deeply committed to serving the creative community. She is the founder of Seattle Pecha Kucha’s speaker series, one of the longest running PK city series in the world. She currently serves on the board of directors for 4Culture, as board vice president for Design In Public, and most recently has been an advisor to the Seattle Waterfront Design Oversight Committee. Pinto da Silva received her BA in architecture from UC-Berkeley and her MDesS from the Graduate School of Design at Harvard University. She is a graduate of Seattle’s Leadership Tomorrow, serving as class valedictorian in 2009.